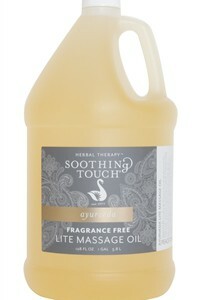 ur Lite blends contain more Sunflower Oil and the addition of Rice Bran Oil for quicker absorption for a deeper massage. This oil is fragrance free and allows you to custom scent when desired.“Indulge your clients in a relaxing massage using Soothing Touch Ayurvedic Massage Oils. These water dispersible oils lubricate, moisturize and repair the skin, providing antioxidants and nutrients. Enhancing skin contact during bodywork, these healing oils also allow the therapist to release more tension and unblock vital energies with a deep, smooth glide.““All of these oils are:“Water Dispersible“Leave No Undesired Odors.“PLEASE NOTE-Gallon Sizes are limited 4 gallons maximum per order in shipment, whether its 4 gallons of the same item or gallons of mixed products throughout the order.If you exceed the maximum of 4 gallons of the same item or mixed products per order, then the order will ship based upon weight of shipment and will have additional shipping charges that will not show up on your internet order but will be additional to your order and appear on your invoice recieved from us.This will overide our “free shipping policy over 99.00 and up.PLEASE NOTE-REGULAR SHIPPING CHARGES THAT APPEAR ON THIS INTERNET ORDER DO NOT APPLY TO ANY BULK 5-GALLON PRODUCT PURCHASE.ALL SHIPPING CHARGES ARE ADDITIONAL AND SHIP BY WEIGHT AND DIMENSIONS OF BOX WHEN PURCHASING ANY BULK PRODUCT AND WILL NOT APPEAR ON THIS INTERNET ORDER,BUT WILL APPEAR ON YOUR ACTUAL INVOICE FROM US. The Massage Oil That Won’t Stain Your Sheets!“Clear Results’ light, silky formula washes out easily from fabrics, leaving your sheets and towels looking their best. 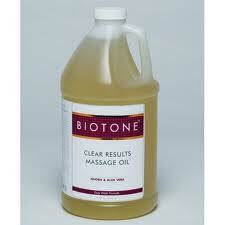 In fact, recent comparison studies show Clear Results washed out more clearly and completely than any other oil tested. Contains Jojoba Oil and Aloe.““PLEASE NOTE-Gallon Sizes are limited 2 gallons maximum per order in shipment, whether its 2 gallons of the same item or gallons of mixed products throughout the order. If you exceed the maximum of 2 gallons of the same item or mixed products per order, then the order will ship based upon weight of shipment and will have additional shipping charges that will not show up on your internet order but will be additional to your order and appear on your invoice received from us. This will overide our “free shipping policy over 99.00 and up. PLEASE NOTE-REGULAR SHIPPING CHARGES THAT APPEAR ON THIS INTERNET ORDER DO NOT APPLY TO ANY BULK 5-GALLON PRODUCT PURCHASE.ALL SHIPPING CHARGES ARE ADDITIONAL AND SHIP BY WEIGHT AND DIMENSIONS OF BOX WHEN PURCHASING ANY BULK PRODUCT AND WILL NOT APPEAR ON THIS INTERNET ORDER,BUT WILL APPEAR ON YOUR ACTUAL INVOICE FROM US. Available by the Gallon.versatile medium weight oil.provides even slip.contains vitamin E. PLEASE NOTE-Gallon Sizes are limited 2 gallons maximum per order in shipment, whether its 2 gallons of the same item or gallons of mixed products throughout the order.If you exceed the maximum of 2 gallons of the same item or mixed products per order, then the order will ship based upon weight of shipment and will have additional shipping charges that will not show up on your internet order but will be additional to your order and appear on your invoice recieved from us.This will overide our free shipping policy over 99.00 and up. Item#UNI-ST276.Available in a gallon.Lavender is known for its soothing and calming effect. This blend leaves the client relaxed and balanced.““Indulge your clients in a relaxing massage using Soothing Touch Ayurvedic Massage Oils. These water dispersible oils lubricate, moisturize and repair the skin, providing antioxidants and nutrients. Enhancing skin contact during bodywork, these healing oils also allow the therapist to release more tension and unblock vital energies with a deep, smooth glide.““All of these oils are: “Water Dispersible“Leave No Undesired Odors“PLEASE NOTE-Gallon Sizes are limited 4 gallons maximum per order in shipment, whether its 4 gallons of the same item or gallons of mixed products throughout the order.If you exceed the maximum of 4 gallons of the same item or mixed products per order, then the order will ship based upon weight of shipment and will have additional shipping charges that will not show up on your internet order but will be additional to your order and appear on your invoice recieved from us.This will overide our “free shipping policy over 99.00 and up. Item#-UNI-ST274.Available in a gallon.ne of our most complex blends of rich, therapeutic essential oils. This blend stimulates, releases and helps heal the muscle fibers. It contains the essential oil blend of Peppermint, Eucalyptus, Clove, Camphor, Geranium, Fennel, Orange, Rosemary and Ginger. 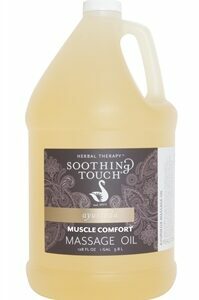 It contains the infusion of Arnica Flower, Juniper Berry and Thyme Leaf to aid with muscle pain by penetrating deep into the area.““Indulge your clients in a relaxing massage using Soothing Touch Ayurvedic Massage Oils. These water dispersible oils lubricate, moisturize and repair the skin, providing antioxidants and nutrients. Enhancing skin contact during bodywork, these healing oils also allow the therapist to release more tension and unblock vital energies with a deep, smooth glide.““All of these oils are: “Water Dispersible“Leave No Undesired Odors“PLEASE NOTE-Gallon Sizes are limited 4 gallons maximum per order in shipment, whether its 4 gallons of the same item or gallons of mixed products throughout the order.If you exceed the maximum of 4 gallons of the same item or mixed products per order, then the order will ship based upon weight of shipment and will have additional shipping charges that will not show up on your internet order but will be additional to your order and appear on your invoice recieved from us.This will overide our “free shipping policy over 99.00 and up. Item#UNI-ST332.Available in a gallon.No fragrance for specific fragrance free use. It also allows you to “scent to preference”.““Indulge your clients in a relaxing massage using Soothing Touch Ayurvedic Massage Oils. These water dispersible oils lubricate, moisturize and repair the skin, providing antioxidants and nutrients. 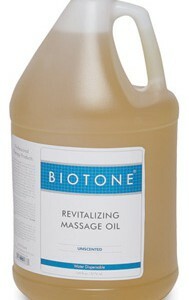 Enhancing skin contact during bodywork, these healing oils also allow the therapist to release more tension and unblock vital energies with a deep, smooth glide.“““All of these oils are: “Water Dispersible“Leave No Undesired Odors“PLEASE NOTE-Gallon Sizes are limited 4 gallons maximum per order in shipment, whether its 4 gallons of the same item or gallons of mixed products throughout the order.If you exceed the maximum of 4 gallons of the same item or mixed products per order, then the order will ship based upon weight of shipment and will have additional shipping charges that will not show up on your internet order but will be additional to your order and appear on your invoice recieved from us.This will overide our “free shipping policy over 99.00 and up. Item#-UNI-C6891T.Available in a gallon.Nutri-Naturals Light Massage Oil is silky and lightweight, making it appropriate for all skin types. It delivers lasting glide without leaving any greasy residue, so your clientsâ skin ends up soft and moisturized. Its light scent renews and revitalizes as its carefully blended selection of top quality ingredients nourishes and softens the skin.““Ingredients: Sunflower Oil (Helianthus annuus), Coconut Oil Ester (Octyl Palmitate), Cold Pressed Avocado Oil (Persea americana), Cold Pressed Wheat Germ Oil (Triticum vulgare), Cold Pressed Jojoba Oil (Simmondsia chinensis), Extracts of Avocado (Persea americana) and Carrot (Daucus carota sativa), Vitamin E (mixed Tocopherol), Grapeseed Extract and Grapeseed Oil (Vitis vinifera), Vegetable Derived Water Dispersant, Aromatic Extracts and Fragrance. Cruelty Free.PLEASE NOTE-Gallon Sizes are limited 2 gallons maximum per order in shipment, whether its 2 gallons of the same item or gallons of mixed products throughout the order.If you exceed the maximum of 2 gallons of the same item or mixed products per order, then the order will ship based upon weight of shipment and will have additional shipping charges that will not show up on your internet order but will be additional to your order and appear on your invoice recieved from us.This will overide our “free shipping policy over 99.00 and up. 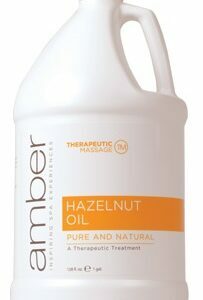 Amber’s Hazelnut Oil is rich in protein, thiamine, and vitamin B6. Its texture allows for easy penetration into the skin to help stimulate circulation, tone the skin, and alleviate muscle pain. Gallon Only.“PLEASE NOTE-Gallon Sizes are limited 4 gallons maximum per order in shipment, whether its 4 gallons of the same item or gallons of mixed products throughout the order.If you exceed the maximum of 4 gallons of the same item or mixed products per order, then the order will ship based upon weight of shipment and will have additional shipping charges that will not show up on your internet order but will be additional to your order and appear on your invoice recieved from us.This will overide our “free shipping policy over 99.00 and up. Item #O-117. Nut Free! 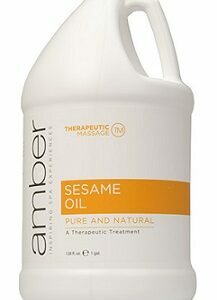 Amber’s Sesame Oil is a highly absorbent medium weight oil. It is an excellent emollient that is rich in calcium, vitamin B and E. This antiseptic is very stable and helps balance the skin’s oil production. Great for Ayurvedic Massage and Shirodhara Treatments. Gallon Only.“PLEASE NOTE-Gallon Sizes are limited 4 gallons maximum per order in shipment, whether its 4 gallons of the same item or gallons of mixed products throughout the order.If you exceed the maximum of 4 gallons of the same item or mixed products per order, then the order will ship based upon weight of shipment and will have additional shipping charges that will not show up on your internet order but will be additional to your order and appear on your invoice recieved from us.This will overide our “free shipping policy over 99.00 and up.